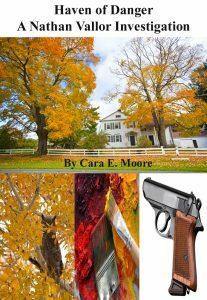 Collection of Poems by Poet Cara E. Moore including photographs taken by author. 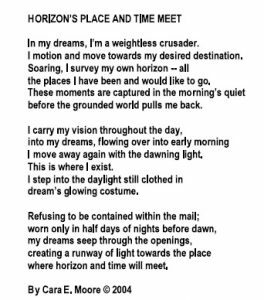 Horizon's Place And Time Meet is a collection of poems that span over 20 years and have been featured in Art Galleries, National Writer's Association Mayfest Competition, Poetry Journals, Poetry Workshops, Public Readings and as a feature at the Funky Craft Fayre monthly event. Photographs taken by the poet are also featured to illustrate poems. The title is taken from the first poem, Horizon's Place And Time Meet. The theme of the collection is about what the focus of the poet's life will be and how to draw happiness and enlightenment from daily experiences. 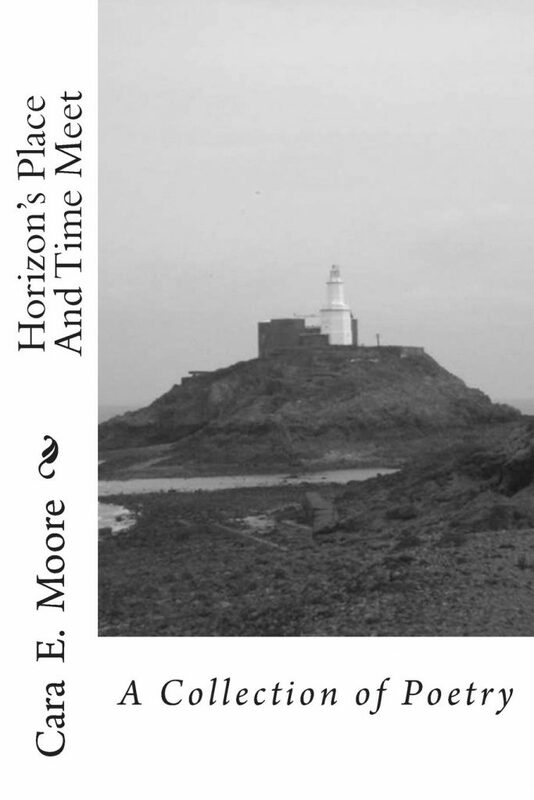 Horizon’s Place and Time meet by Cara E. Moore, published by the author. Poems that display integrity in their questioning of the big issues of mankind and the small moments of individuality. The voice is clear, crisp and direct. A first collection that has an accompanying c.d.